Welcome to Garden Bloggers' Bloom Day for November 2011. 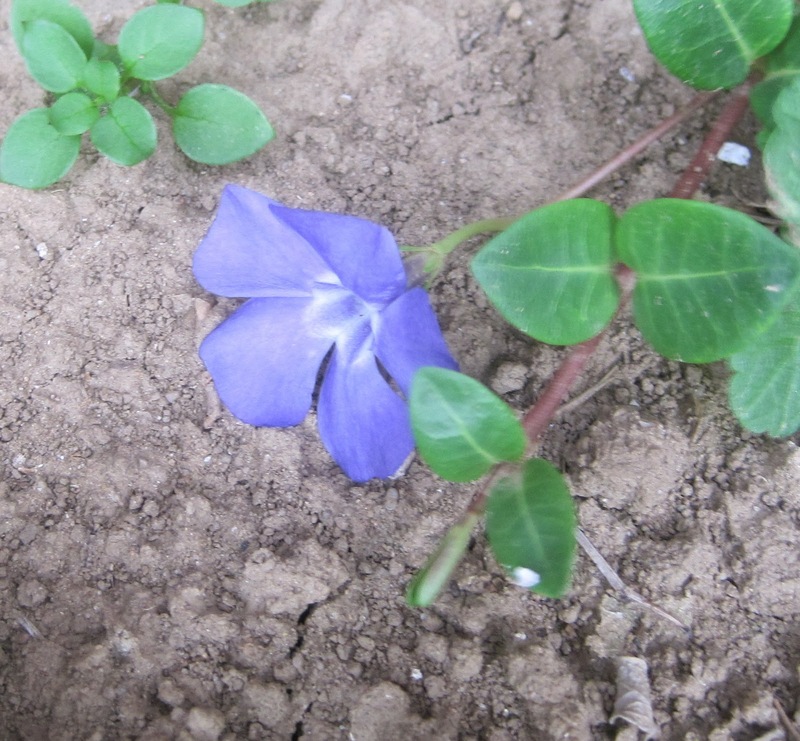 Here in my central Indiana Zone 5b garden, any blooms I found outside could best be described as errant blooms, like this lone blue flower on Vinca minor. Our growing season is over and we've finally had a killing frost, though it was later than in most years. I checked my bloom day posts from past years just to remember how Novembers have been these past four years and found that last year, Symphyotrichum oblongifolium ‘October Skies’ still had errant blooms on it, just like this year. This is an aster - yes, we can still call it an aster even though someone changed its botanical name. You can keep it to a manageable size by cutting it back by about half in late May. This also encourages more branching, which means more blooms. Also in the front garden, the Knockout® rose, Rosa ‘Radsunny’ still looks pretty good for this late in the season. In the back, at the edge of Woodland Follies it is not a bloom that catches the eye, but the dark burgundy foliage of an Oakleaf Hydrangea, Hydrangea querifolia. This is a shrub that the garden designer planted last fall. It died back to the ground over the winter and was very late to send up new shoots in the spring. I almost dug it for dead, but am glad I didn't. Over in The Shrubbery, an area that was planted up in the spring but didn't get a whole lot of attention the rest of the summer, Boltonia asteroides actually looks pretty good. Too bad it is a weed. It is most assuredly time to turn our attention indoors to find our blooms. I am most fortunate to have two Schlumbergera sp., in bud. One will have orange flowers. And one will have pink flowers. These are also known as Thanksgiving Cactus or Christmas Cactus depending on when they bloom. I believe these will both be blooming well by Thanksgiving. And that's what's blooming in November here at May Dreams Gardens. It's easy to participate. Just post about what's blooming in your garden, then leave a link to your post in the Mr. Linky widget below so we can find you and a comment to tell us a little about what we'll find in your November garden. Your oakleaf hydrangea is looking beautiful--one of my favorites. We haven't had a hard frost so there is still a lot going on in my garden. Great post! We are trying to get our Christmas cactus in the 'blooming spirit' Your are beauties! Happy GBBD. Thanks for hosting this event! Loving the deep red leaves on your Oak Leaf Hydrangea! Your Boltonia asteroides does look pretty good. I'd have a hard time pulling a weed that pretty. We've had a frost and snow so the garden is pretty bare of flowers. But your Oakleaf Hydrangea is as pretty as any blossom. This is such a lovely monthly event. Thanks so much for hosting this. I've found so many wonderful garden blogs this way. Happy GBBD, Carol! Your oakleaf looks tons better than mine. Maybe next fall it will be sporting some of that gorgeous fall color like yours. Love the gorgeous color of your oakleaf hydrangea Carol! Roses seem to laugh at November weather! Happy Bloom Day Carol, and thanks so much for hosting! Love your post. I grew up in NJ and now live in South FL, so here we have a multitude of blooms all year long. My panama rose, shrimp plants are attracting hummingbirds so I could not be happier. Beautiful blooms...love the Oakleaf Hydrangea so much. I'd be more tempted to use the new name for Asters if it was so long! I like how you've taken the opportunity to revisit previous years' bloom days to see how this year has compared. That's a great fringe benefit to doing these informal floral catalogs. Happy Bloom Day! Pity the Boltonia asteroides is a weed - I think its cute! Yippeee!!! I finally remebered to link up to GBBD! I keep forgetting...what a blonde. This is my first link up and thank you so much for having me. Looking forward to all the garden posts. I love the Boltonia too! She is blooming for such a long period and looks just fantastic! The colors in your fall garden are beautiful. Fall really is a wonderful time of year in the garden and thanks to you I have really grown to appreciate it! Happpy GBBD Carol! I'm linking up for the first time. Since I live in the southern hemisphere my garden is just gearing up for the summer, so I'm excited to share it! Thanks for the chance to post my second Garden Bloggers Bloom Day. I feel like an old hand. I'm about to try asters here for the first time, so if they end up anywhere near the size of yours, i will be delighted. Thank you very much for hosting! Happy GBBD. Way down South, expecting summer weather, on Saturday we had SNOW on the Ceres mountains! And a 40C heat wave warning for Jo'burg. Global weirding at work. 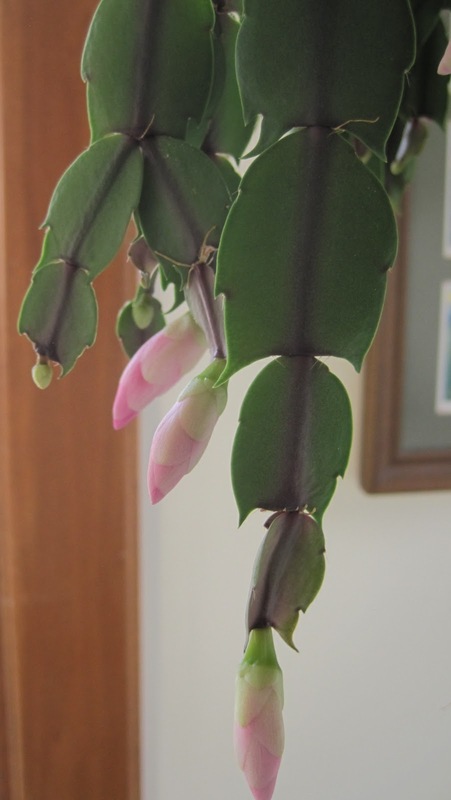 I never have luck getting the Christmas cactus to actually bloom at Christmas...it is either before or after. Your oakleaf hydrangea is gorgeous and I love the "asters"! Not much going on in my garden since the freeze. You are lucky to have the rose still blooming. My favorite color of rose...yellow. Happy GBBD. It's always fun to see what's blooming where, but especially so as the gardens in our hemisphere start shutting down. As much is the same, as is different. Thanks for hosting! I am envious of the deep red colour on your hydrangea Carol, mine is still green and I am crossing my fingers that it doesn't just stay that way until the leaves fall off like it did last year! Thanks for hosting, happy GBBD. I must remember to cut my aster back next year, then maybe I will still have some errant flowers on mine. Hurray! This is my first GBBD with a new blog, Rogue Eggplant - you know me from Grow It Eat It, where I can only post about edible plants. Thanks for hosting - glad to see there are still some blooms in Indiana. I guess it is easier to appreciate the flowers on "weeds" in November than in earlier months. I am glad that your Oakleaf Hydrangea made it back from the brink, it is one of the best 4 season shrubs. Thank you for hosting another GBBD. 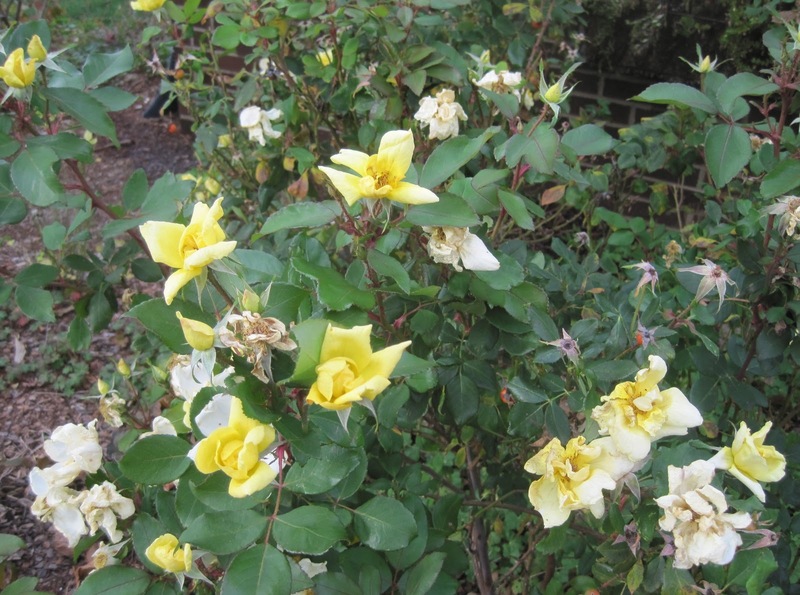 You knockout rose sure does look good for November! Pleasant surprise. And is your hydrangea a H. 'Snowflake'? I just purchased one for our Shade Path... hoping it weathers ok this year. Perhaps a pile of leaves are in order? Thanks for starting and keeping GBBD. It's such a stalwart. Boltonia looked like a weed the first year in my garden also. It was in full glory this summer, draping over a red flower carpet rose and variegated maiden grass. It amazes me how well the roses do this time of year. I posted about a beauty as well. I'm also moving on to seasonal thoughts by doing a double posting, the other one on Christmas gifts for the gardener. Happy Bloom Day, Carol. Your cactus flowers are right on cue. I put mine out int he greenhouse so they get the right amount of darkness but so far no signs here. Maybe because we are further south. Thank you for hosting this meme. I love hydrangea quercifolia too, it's such a tough plant! Think the purple asters are what the Japanese call 'wild chrysanthemums'... no? Don't we thrive on those errant blooms and lovely foliage? Woke up to rain this am. It truly is a happy day!!! I'm finding, too, that there is more pretty foliage than blooms for this GBBD. 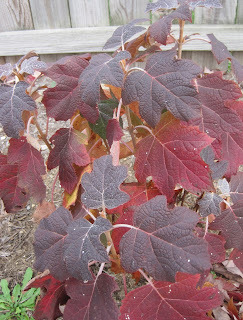 Your oakleaf hydrangea leaves certainly are colorful! the only thing your beautiful garden has in common with mine is budded cactus. And I am grateful for that as we come up on our day of thanksgiving. Schlumbergeras are awesome! I look forward to more photos of yours. Roses just don't want to quit this year. I stopped deadheading and they went right on. Freeze dried on the bush now. I made two Bloom Day posts but decided it was piggy to put two links. Bloom Day Indoors can be accessed by clicking on my name here. Glad to be joining in again...I've had to skip the last few months! Beautiful asters! I let Boltonia Asteroides grow in my garden. I also have an Oakleaf Hydrangea with that gorgeous autumn color going on right now. I've had to move mine twice but now that I've vowed to leave it alone, I hope it takes off. I'm sure your cacti will be stunning – I love orange! Oh, this is a very green with envy southern person. You have so many Christmas cactus blooms! Mine have not started yet. But I have hope they will! Thanks for hosting GBBD and always giving me a boost. For having had a killing frost, your rose looks very good. 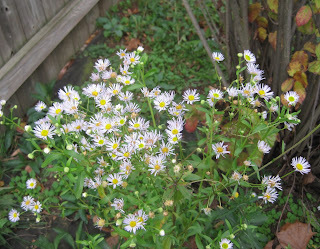 What your garden needs for November bloom is an Aster tataricus. Mine is still in full bloom here in Zone 5a. I decided not to feature any indoor blooms because I still have too much blooming outside this month. There'll be plenty of time to post photos of them in the coming months. I loved your maple-leaved shrub - the colors so stunning. Good save. I'm excited that Bloom Day is still going so late in the year- wasn't sure. Thank you so much for hosting! I've had five oak leaf hydrangeas awaiting planting, and yours has motivated me to get those poor babies in the ground so they can glow their gorgeous colors! Happy Bloom Day! Your garden is lovely at this and all seasons. Happy Bloom Day and thanks for being our wonderful hostess. You are lucky to have leaves and blooms at this point. I wish oak leaf hydrangea would survive up here, yours is beautiful. 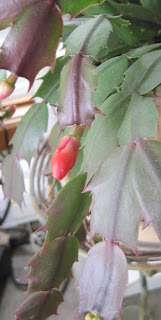 Your Schlumbergera are looking quite promising...I wonder how I've managed to go all this time without acquiring one? Oakleaf hydrangeas are awesome in the fall - great color and form! Here in NE Texas, we haven't had a freeze yet, and are expecting rain (keeping fingers crossed). Been a tough year, yet trees are coloring up nicely, and still and abundance of fall flowers. "Too bad it's a weed" is a thought I express now and then too! Thanks for your colorful post! Wow, love the Knockout Roses. I must find some for my garden. I'm impressed you still have a rose in bloom! Here in Portland, most of mine have shut down for the season. I do have rosemary and a camellia blooming for me, as well as several summer lovelies that are still hanging on. Somehow, I despair of realigning my mind to the reclassed name, Symphyotrichum. Like you, I will just to keep referring to them as asters! Thank you for hosting Bloom Day, Carol. Few and far between here too, so it will be nice to check out some of the far flung blogs listed here. I'm on the fence about Boltonia myself, it seems to seed itself everywhere in my garden - especially under thorny rose bushes. So I leave it usually, but still see "weed" when I look at it. That burgundy foliage is gorgeous. Knockout rose is doing well here, too. When did asters get a name change? I feel behind the times...Happy GBBD! I had to pull out a struggling oak-leaf hydrangea this summer. Love the fall color on yours. Boltonia was never a weed for me but did surprisingly well for a prairie plant in semi-arid SoCal. I need to grow it again. Happy bloom day! We have not had the first frost yet, but it is soon to come. The foliage is just beginning to turn. Your oak leaf hydrangea is very pretty! I hope mine colors as well. Happy Bloom Day! Sharing photos of a few things that have been tricked into blooming after our crazy heat and drought. Lilacs! Clematis! Make it stop! Thanks again to host a place to see everyone's bloom status. your area not bad for November, nor is your garden. Nice flowering! I'm glad to see you still have some plants blooming. Knockout roses are still blooming here in upstate NY but I don't have any. Thank you for this monthly event-I'll be using the Southern Hemisphere posts to dream about spring. Looks like I am not the only one with cactus budding and blooming. Happy Bloom Day Carol. Once again I'm prompted to take stock of the gardens by GBBD. Nice to see that your knockout roses are also hanging on. They are remarkable. Thankfully we've only had one light frost here in NC, so I still have a few blooms hanging on! Amazing to find anything in bloom in my yard in November, but I got some pretty shots despite the rain. Can't imagine there'll be anything to shoot in December. 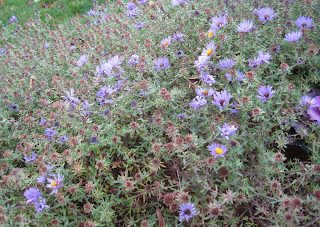 Carol how in heaven's name do you have asters, weeds and roses still blooming in your zone 5b? My world is already crispy brown and I have decided to up my zone to 6b. And guess what. I have a couple of outdoor blooms. I love those hydrangeas this time of year! Gorgeous foliage on the oakleaf hydrangea. I wish I had room for one, but generally speaking, my eyes are too big for my garden. Happy Blooms Day, Carol. This is a great thing you created. It's been awhile since I posted for GBBD. It feels good...very good. It's just like riding a bike. Thanks Carol! Your "weedy" aster looks similar to our wild aster, Aster ericoides. In this year of drought I celebrate anything that is still alive especially if it's putting out flowers. Seeing your asters puts a smile on my face. I love the asters! 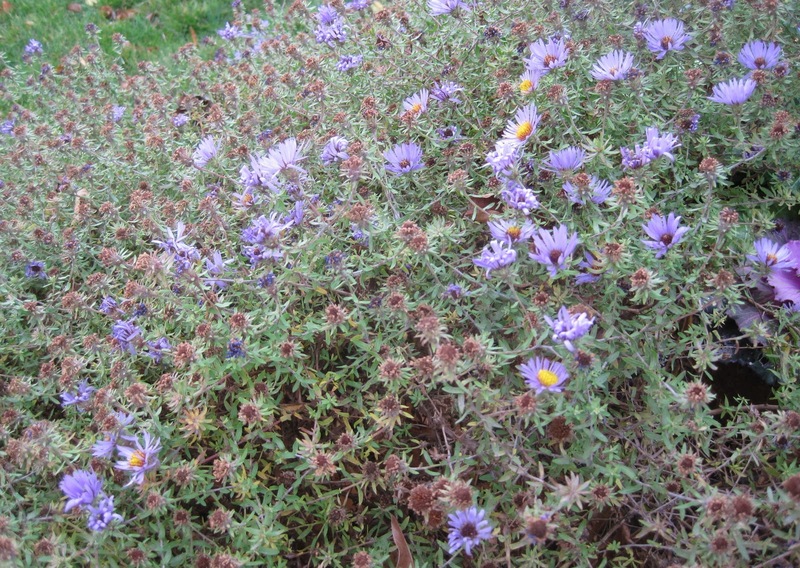 Our asters are mostly done, but we actually haven't had a killing frost in our part of NC yet. I've had a wonderful time working out in the garden the last two weeks - an unexpected gift! Hey now, some of my favorite bloomers are weeds! Love your asters. Happy GBBD! I just ran across this ... what a great idea! Thanks for sharing and hosting! I posted a few small blooms (blue fescue, ice plant) that are easy to walk by - but worth the pause to look. Me, too, late! Loved to see your blooms! No freeze here, yet. Roses in November! Way cool, Carol. After seeing your holiday cactus I realize mine have slacked off and not made a single bud - maybe they'll just be late, like me. 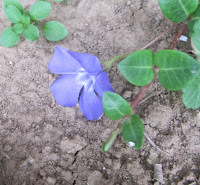 I've posted a list of blooms on the addendum with a bit of a botanical mystery included on the GBBD post. Oh, and I'm glad that you left the oakleaf hydrangea, too! That's one of my favorite shrubs! Thanks for hosting, Carol! I have a blooming Christmas cactus to show, a few flowers around the yard, and fruits either just ripened or still on the bush. So wonderful to see what is left of the garden. I love the leaves of the Oak Leaf Hydrangea. We had one in our previous home and I loved it. I wish I had room for one here.